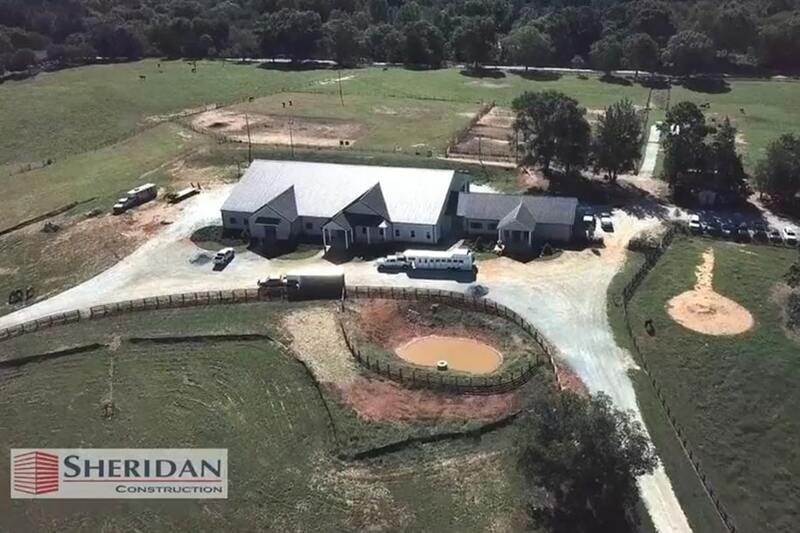 Piedmont Equine Associates, located on 26 acres just off Highway 441 in historic Madison, Georgia, is a full-service equine clinic offering ambulatory and hospital care, 8 large pastures and 5 smaller paddocks for long term non-intensive patients and rehabilitation cases. Due to continued growth in clientele and services, the space needs had outgrown the existing facility. As such, Sheridan Construction and Hussey Gay Bell were engaged by the Owner to design and construct a new, 17,600 square foot facility in addition to the existing 4,200 square foot clinic equipped with a laboratory, pharmacy, reproduction lab, standing surgery/exam room, surgery stall, and 5 indoor stalls for more intensive patients. 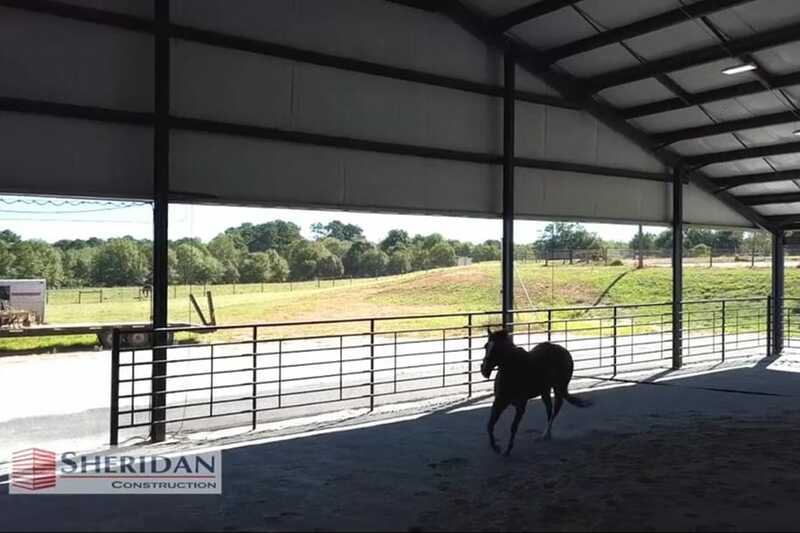 The new facility features 9 new stalls, exam room, pharmacy, new offices and a new 7,000 square foot covered exercise arena. 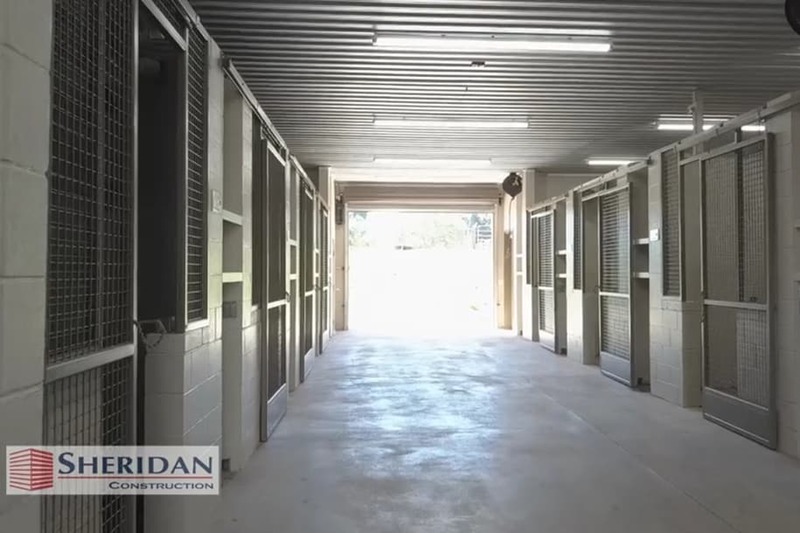 To continue Piedmont Equine Associates’ ability to provide care of excellence, Sheridan and Hussey Gay Bell team up on the design+build of this new 17,600 SF facility.